Today is Thanksgiving and in the spirit of the day’s festivities, I’d like to share two of my favorite side dishes that are a must-have on my Thanksgiving table. 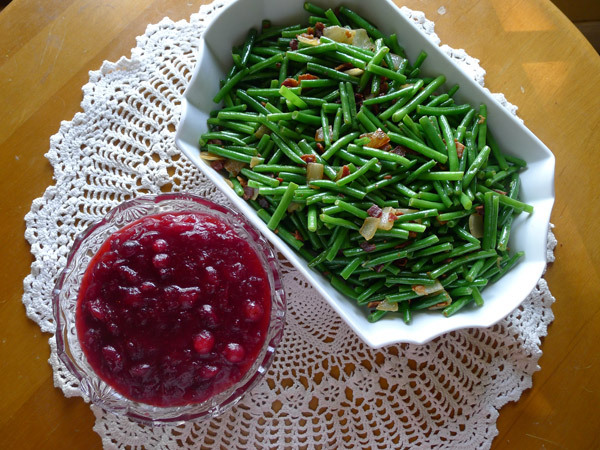 These are not your everyday green beans and cranberry sauce! Rinse and cut your green beans into 2″ pieces and blanch (add beans to boiling water, let boil for 1 minute, transfer beans to an ice bath), then set aside. Slice bacon into small pieces and fry on medium heat until crispy. Remove bacon from pan and drain most of the fat, leaving about 3 TBSP. Reduce heat to low and caramelize onions in the same pan. Add green beans and bacon back into the pan and cook on high until hot. Cook cranberries, sugar, and ginger in a saucepan on medium heat, stirring occasionally, until cranberries begin to burst (about 7 minutes). Add orange juice and simmer until thickened. 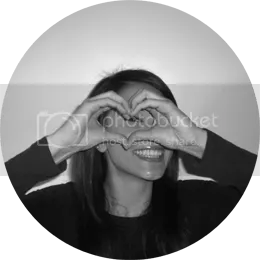 Oh, Just Joe, Create a free website or blog at WordPress.com.